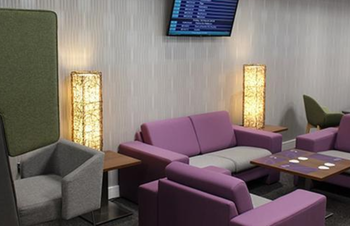 Durham Tees Valley Airport has opened the Premium Lounge. It replaces the previous Swissport lounge. The cash price of £21.95 seems a little toppy, but let’s see. It makes the £25 – £35 being charged by the three new Leeds Bradford lounges look even more expensive. You get access for free with a Priority Pass (free with Amex Platinum or buy one here) or a Lounge Club card (two free entries if you have an Amex Gold card). KLM, Eastern Airways and Loganair passengers with qualifying tickets will also be able to use the lounge. Further details can be found on the airport website here. If anyone is there in the next week or so and could send us a few ‘real life’ photos and a couple of paragraphs on how they found it, that would be great. Virgin Atlantic has launched a very generous deal with Avis. If you book a car for 3+ days you will pick up 6,000 Virgin Flying Club miles! That’s the good news. The bad news is that a lot of people had trouble getting the miles to post when this offer last ran. Not everyone, but quite a few people. To maximise your chances book via the specific page they link to, even though the rules do not say it is necessary. There appears to be no cap on the number of times you can earn the miles. The 6,000 miles consists of 500 base miles and a bonus of 5,500. This increases to 6,500 miles for a rental of 7+ days as a rental of a week earns 1,000 base miles. I would be happy to value 6,000 Virgin Flying Club miles at £60 – especially as redemptions on KLM and Air France should be available to members within the next 12 months – so you could even make a small profit on your car rental. You can see full details of the Virgin / Avis partnership on this page of the Virgin Atlantic site. Remember that you may also have a £20 Amex cashback deal on a £125 spend, valid to 31st May, showing on one of your cards. Finnair, a oneworld partner along with British Airways, is offering a 50% bonus when you transfer in points to its Finnair Plus loyalty scheme. This includes American Express Membership Rewards points which transfer at 1:1. Any oneworld redemption you can book via British Airways is also bookable via Finnair Plus. However …. Finnair has its own rules regarding the miles needed for flights, the taxes due and cancellation rules. You should not automatically assume that it is suddenly a better deal to transfer Amex points to Finnair to redeem for a BA flight. It might be but the answer will vary route by route and class by class. Finnair has two hotel transfer deals – to Accor (click here) and to IHG Rewards Club (click here). I have done the maths and, even with a 50% transfer bonus, it doesn’t make sense to me to go Amex to Finnair to Accor / IHG. If you want to explore this a bit, full details are here on the Finnair site. You must register by 30th April and transfer by 30th June. Is the VS / Avis deal a bit of a conn? Just looked at weekend hire from nearby location and got price of £75. Then went via the VS link and price in now £162. Given I can buy miles for £15/1000 this does not seem to be a good deal….. If you cancel amex plat, do you still get lounge pass for the year or is it also cancelled with plat? What always puts me off the Virgin/AVIS deal is that I can get a free additional driver with my BAEC account, and that’s worth a lot of £ in some places. However I did learn last year in Florida (at least) that spouses/domestic partners aren’t charged any extra to be an additional driver. Always found this an odd policy as I would have assumed it is safer if two share the driving. What wpuld happen if i used the Avis offer, paid up front with my Amex. Then cancelled my amex before the rental. Would they accept a different card or do they need the card thst was used for the booking? I am preferred plus with Avis and Presidents circle with Hertz, how do I get the status match? I will try and take some pics of the Durham Tees Valley lounge in a couple of weeks. Hmm I already have an Avis booking for those dates… wonder if i adjust where i credit the Frequent Flyers miles to I will get the bonus 6k, it doesnt appear like the terms and conditions say you need to book it via the Virgin Link? If after 49 hours, should do as they round up. 47 hours, no. Neither my wife or I got the Virgin points on our last two Avis rentals. We had booked through BA but got the Avis rep to add or Virgin number to the booking. Missed out on the Avios as a result. Any tips how to get those points to credit? Avis.co.uk adds CDW insurance automatically, but I don’t need it as I have Amex Platinum insurance. Can I book at avis.com and untick the CDW? Would that be ok? If it lets you, yes – not sure what the office is legally obliged to add on (assuming this is a UK rental).